Giving birth is a pretty big deal, so you want to make sure you’ve got the right people in the room to provide the emotional and physical support you need. Here are five people who make the best birth partners and why. What’s that you need honey? The most obvious choice for many, it makes sense that whoever you’ll be sharing parenthood with is also there at the birth to help you and share in the excitement. As your love, they’ve already seen you at your most intimate and vulnerable, and may be the only person who can make you feel at ease at this intense time. Husbands or boyfriends are particularly handy for practical things like taking photos and fetching water, and as males they generally need to respect the high level of pain and emotion you might be experiencing (and aren’t allowed to judge you for it). Basically your partner is not allowed to get upset if you get a little nuts! My sister recently gave birth with myself and our other sister in the room with her. We’re a close family and it was great that we could be there for her. Siblings know you extremely well and can tell when you might be feeling panicked or confused, plus there is no real embarrassment factor as they’ve probably already seen you naked at some point in their life. The benefit of a sister over a male partner too, is that as women they understand lady issues a bit better and quite possibly have experienced birth themselves. What labour? Tell me about what happened last night. For some people their best friend is the best option for the delivery room. Unlike family members they are in your life by choice and have probably shared many of life’s ups and downs with you and know all your inner hopes and fears. They are there for you only and are less likely to get mixed up in any family or partner stress and politics. You might be in labour for a long time (days even), and whilst male partners mean well, sometimes a gal just needs her girlfriend by her side. No one knows you like your mother does, she gave birth to you after all! While this might seem like a nightmare for some, for others the support of their mum during birth is exactly what the doctor ordered. She will make sure you have everything you need, she will question doctors on your behalf and not falter when things get a bit intense. 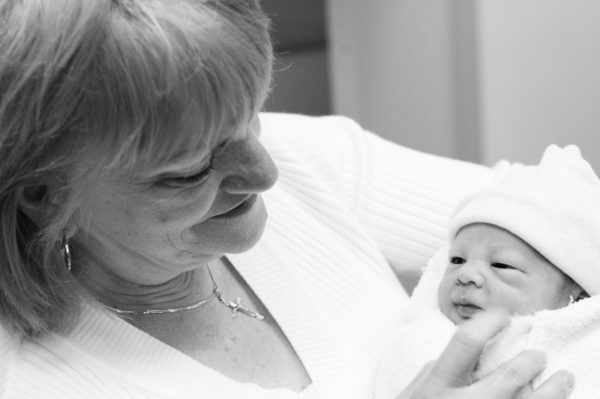 Plus what a wonderful thing for your mother to see her grandchild enter the world, a real three generation experience. As a professional birth partner, doulas are great because first of all they’re paid to be there so will do whatever you need them to do. They also know their stuff, having attended way more births than your partner, friends or family put together. And unlike midwives (who are also great but more focused on the medical side of things), doulas will support you emotionally and spiritually yet still work with the hospital doctors and staff to ensure your birth plan comes to fruition as much as possible. So there you have it – our rundown on the best birth partners. Another option of course is to have more than one birth partner so you’re getting support on different levels, however just remember most doctors won’t allow a cast of thousands in the room at the one time. And that’s probably not the best idea now anyway, right? Who did you have as your birth partner? Do you wish you’d had someone different?